GOING GLUTEN-FREE: 7 Surprising Facts You Should Know if You Want to Achieve Dietary Success – Going Gluten-Free. Find it on Amazon, Apple iBooks, and Barnes & Noble. If you don’t have an ebook reader, you can also download a PDF at Smashwords. See below for a preview. Ron Hoggan, Ed. D, author of Dangerous Grains and Cereal Killers. Written for gluten-free dieters and their doctors, this condensed and easy-to-digest compilation of years of medical and nutritional research explains why people may not be healing on the gluten-free diet as we know it, and offers solutions for modifying that diet so that the reader can begin to truly heal. For instance, did you know that 50% of celiacs also show sensitivity to dairy? Did you know that there are parts of wheat besides gluten that could be causing you harm? Did you also know that products labeled “gluten-free” can contain some amount of gluten in them, and that the threshold of how much gluten is safe is actually controversial? These topics and more are explained in the book. The author also provides links to further resources. 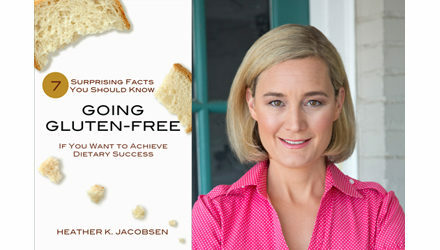 Whether you are new to gluten-free, or have been gluten-free for a while but still aren’t feeling 100%, this book will help you to regain control over your health. Previous PostWhy We Get Fat: And What to Do About It. Book Review.